1. Klejmenova S. M. Avtors`ki pravovidnosy`ny` yak forma realizaciyi pravomochnostej sub’yektiv avtors`kogo prava Kand, Diss [Copyright relations as a form of realization of the powers of the subjects of copyright kand. diss]. Kiev, 2004, 20 р. 2. Pavlenko T. V. Ekonomichny`j mexanizm upravlinnya intelektual`noyu vlasnistyu na pidpry`yemstvax radioelektronnoyi promy`slovosti kand. diss. [Economic mechanism of intellectual property management at the enterprises of the electronic industry kand. diss]. Kiev, 2009, 20 р. 3. Yeremenko A. V. Intelektual`na vlasnist` v global`nij torgovij sy`stemi kand. diss [Intellectual property in the global trading system kand. diss]. Kiev, 2006, 19 р. 4. Potocz`ky`j M. Yu. Pravove regulyuvannya intelektual`noyi vlasnosti v Ukrayini: zagal`noteorety`chne doslidzhennya kand. diss. [Legal regulation of intellectual property in Ukraine: general theoretical study kand. diss.]. Kharkiv, 2009, 20 р. 5. Dovgan` G. V. Stanovlennya ta rozvy`tok zakonodavstva Ukrayiny` pro intelektual`nu vlasnist` (istory`ko-pravovy`j aspekt) kand. diss. [Formation and development of Ukrainian legislation on intellectual property (historical and legal aspect) kand. diss.]. Lviv, 2009, 16 р. 6. Nersesyan A. S. Kry`minal`no-pravova oxorona prav intelektual`noyi vlasnosti kand. diss. [Criminal law enforcement of intellectual property rights kand. diss.]. Kiev, 2008, 19 р. 7. Berzin P. S. Nezakonne vy`kory`stannya zasobiv indy`vidualizaciyi uchasny`kiv gospodars`kogo oborotu, tovariv ta poslug: analiz skladiv zlochy`nu, peredbachenogo st. 229 KK Ukrayiny` [It is not lawful to use the means of individualization of participants in economic turnover, goods and services: an analysis of the components of the crime provided for in Art. 229 of the Criminal Code of Ukraine]. Kiev, 2005, 316 р. 8. 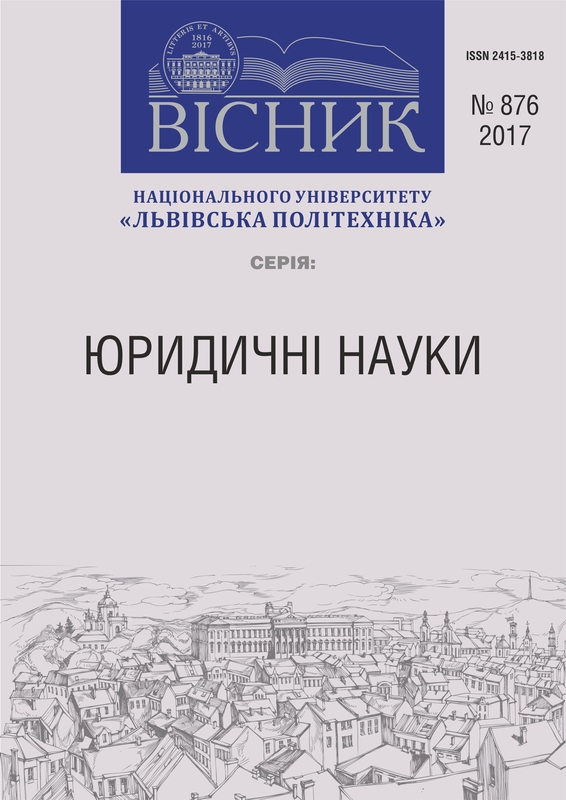 Xarchenko V. B. Kry`minal`no-pravova oxorona prav na rezul`taty` tvorchoyi diyal`nosti ta zasoby` indy`vidualizaciyi v Ukrayini [Criminal law protection of rights to the results of creative activity and means of individualization in Ukraine]. Kharkiv, 2011, 480 р. 9. Gulkevy`ch V. D. Kry`minal`no-pravova oxorona avtors`kogo prava i sumizhny`x prav kand. diss. [Criminal law protection of copyright and related rights kand. diss.]. Lviv, 2008, 218 р.